UK reggae band Black Roots is a favorite of mine and their self-titled debut album is one of the strongest sets coming from Britain. I was of course thrilled when I heard they had reunited a few years back and I was thrilled again when I realized they were also about to drop their first full-length set in more than 20 years. On the Ground dropped in 2012. It completed their comeback and was a success. It was followed by a stripped down and downright excellent dub counterpart in 2013. Now I’m thrilled yet again. The reason? Black Roots is back with yet another scorcher. This time they’ve teamed up with French independent label SoulBeats. Ghetto Feel is another deep and profound album from this Bristol-based band. It revolves around social challenges and Black Roots express their political standpoints on various issues. In the 80s they were at war with Margaret Thatcher, now their critique is directed at David Cameron, another Prime Minister and leader of the Conservative Party. Even though Black Roots are outspoken with defiant lyrical themes, the melodies are often bright and they offer a good dose of slowly skanking vibes and uplifting grooves. Just listen to Albert Villa with its calypso-tinged melody or the gospel-fused Lonely Journey. 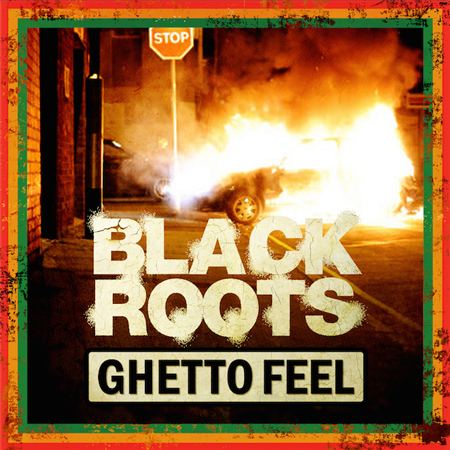 Ghetto Feel is the heart of vintage roots reggae and it could easily have been released in the early 80s. Tarrus Riley is one of the most reliable singers in contemporary reggae music, equally at ease with both dancehall and one drop. And as the son of reggae/soul singer Jimmy Riley, his foray into music was almost inescapable. On Mecoustic – his fourth album to date – Tarrus Riley has taken a new musical direction, and this new style is gospel-influenced and sometimes hymn-like. It’s a sensitive journey accompanied by soothing acoustic guitar, relaxed bass lines, classy keys, African drumming and delicate horn arrangements. Mecoustic offers new versions of previously released material, and modern classics such as She’s Royal, Marcus Garvey, System Set, One Two Order and Africa Await get a new warm and angelic treatment. But these 15 tunes, of which one is a short nyabinghi version of Eye Sight, are more than just versions. Way more. New arrangements and new moods are created for each song. And the result is beautiful, enchanting and very impressive. With Mecoustic Tarrus Riley secures his rightful place in amid the very best in reggae music, both among his contemporaries as well as the founding fathers. The French reggae scene has been active since the 70’s when the first sound systems emerged, and domestically it has flourished with artists and groups such as Pierpoljak, Raggasonic, Tonton David and Daddy Mory, who was initially one third of Raggasonic. Most French reggae artists sing in French, partly due to governmental regulations introduced in the mid 90’s. The regulations obliged radio and TV to play 70 percent French speaking music. And this has stuck. On the compilation French Reggae Revolution only three of 15 songs are sung in English. I don’t understand much of the lyrics, but that doesn’t matter when the riddims and melodies are strong. I’ve been following the French scene for some time and I only recognize two names – Mo’Kalamity and Dub Incorporation – on this set. Obviously the French scene has lots to offer. The majority of the tunes are in a one drop mode with live instrumentation. Exceptions being The Rockin’ Preachers political No Nuclear Power and the excellent hip-hop tinged Au Marché Du Soleil from Massilia Sound System. Papa Style & Baldas 80’s sounding La Révolte also stands out from the formula. And this set would actually have gained from being more diverse. A few dancehall acts would have been a nice touch. Maybe Admiral T and Tiwony would have been a great contribution. French Reggae Revolution is not as revolutionary as the title indicates, but a tasty introduction the French one drop reggae scene. On Sebastian Sturm’s third album Get Up & Going he has parted ways with both his former producer and band. This hasn’t lead to any dramatic shifts in direction though. He is still firmly rooted in reggae from the 70’s together with his new outfit Exile Airline. 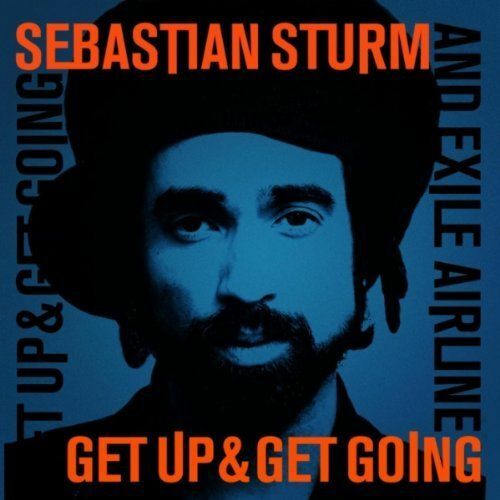 Sebastian Sturm’s vocal style bears resemblance to royalty such as Bob Marley and Horace Andy. He has the former’s rugged, fragile style, while also incorporating the latter’s nasal tone. However, without Horace Andy’s distinct vibrato. But there is also something else with the singing style of Sebastian Sturm. It sometimes seems like he isn’t singing. The story and the lyrics are more essential than the singing itself. It’s a bit theatrical and it sometimes sounds like he is singing in a children’s story. Get Up & Going collects twelve tunes in the reggae vein, but with apparent rock influences. These are most apparent in Responsibility where the guitars are in the frontline and on Movin’ Away with chords similar to Nirvana. Highlights include Upside Down with a nice melodica intro and the skanking Don’t Look Back, even though it would have been even better without the guitar solo. Jake ”Mista” Savona is the leading reggae producer from Australia, and the first to consistently travel to Jamaica to record some of the country’s most acclaimed singers and deejays. 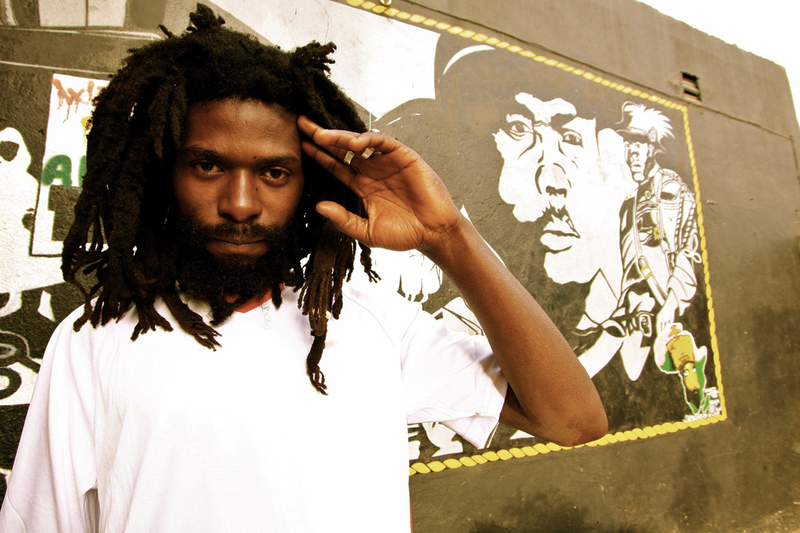 Reggaemani got an early morning chat with this well-educated and humble producer. Australia is not necessarily known for its burgeoning reggae and dancehall scene. Rather pop music and artists and groups such as Kylie Minogue and INXS. Reggae is according to Jake Savona regarded as a mostly underground style in Australia and is not in the mainstream consciousness yet. Jornick, Jake Savona and Vida-Sunshyne. “The scene is fairly small here”, explains Jake Savona over the phone, walking through a park in Sydney in the middle of the day, while I have just woke up and am preparing for breakfast. Jake is a classically trained musician and has been playing keyboards such as the piano and Hammond organ from the age of six. “Playing keyboards gives you different skills. It gives you melody, harmony and composition techniques,” he says. He learned to play reggae by himself through trial and error, listening to records and also through friends. And he says that the music expertise in Australia is very good. Jake first became interested in dancehall and modern reggae when living in Brixton for a month in 2000. And he clearly remembers when he heard dub for the first time. In 2004 Jake visited Jamaica for the first time, and his first recording there was with Anthony B. Since then, he has been back two times – in 2008 and last year. While in Jamaica in 2008 he recorded some of the vocals for the wicked Fire Dragon riddim, a clever interpretation of the classic Drum Song riddim. “I’m a vinyl collector and for that riddim was inspired by Korean music and kung fu soundtracks. The bass line in Drum Song was itself inspired by old 50’s Latin American stuff. My version is in a totally different style. It is Arabic and Middle Eastern sounding,” he says. The riddim was voiced by chanters such as Burro Banton and Sizzla. Jake also reveals that he has recorded a full length album with Sizzla, hopefully due later this year. It is a reggae album with some hip-hop, dancehall and dubstep influences. Mista Savona’s latest album is the compilation Warn the Nation. It has been available in Australia for a year, and was recently released in Europe and the U.S through Soulbeats Records in France. The music was mainly recorded in Australia, while most of the vocals were laid in Jamaica. The album’s core messages are concerned about the state of the world today and the environment. This is obvious in tunes such as Clean Air Clean Country by Burro Banton and Why Does the World Cry by Sizzla. 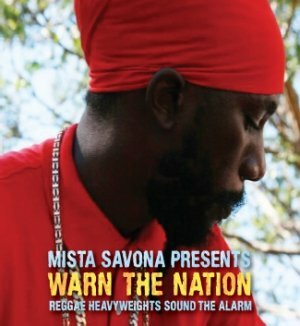 Warn the Nation also features the late Alton Ellis on Chant Rasta Sound. Jake remembers the recording which took place in London. Jake says that he is already planning his next trip to Jamaica, and once the Sizzla album has dropped internationally he will go back and voice another set from the top Jamaican singers and deejays. Takana Zion is the Guinean singjay sensation that went to Jamaica and recorded his third full length album Rasta Goverment at the legendary Harry J studio together with producers Samuel Clayton and Stephen Stewart. Prior to Takana Zion, artists such as Ivoirians Alpha Blondy and Tiken Jah Fakoly, as well as the late South African singer Lucky Dube, have done a lot to promote African reggae. According to Takana Zion, Guinea is also a country with a lot of talent and a strong musical culture. “Trust me that it influenced me a lot. Yes, I can sing any traditional music from Guinea,” he reveals. While he lived in Mali he met Tiken Jah Fakoly, for whom he also recorded two albums, both yet to be released. His first albums that have been put out – Zion Prophet and Rappel a L’Ordre – were produced together with Manjul, a French producer nowadays based in Mali. For Rasta Government he instead teamed up with Jamaican producers Samuel Clayton and Stephen Stewart. Rasta Government is strictly roots and, according to Takana Zion, all about high level consciousness, justice and peace for one and all. The lyrics are – just as on his previous albums – sung in several different languages. Eight out of ten songs are in English, one in Sousou and one in Manding. And where do his lyrics come from? 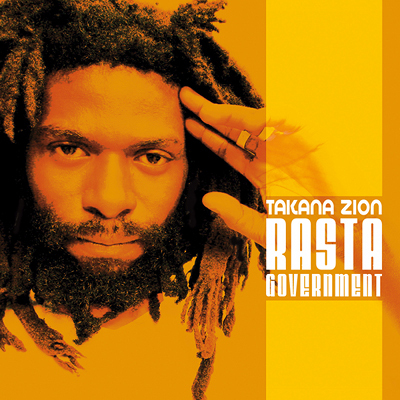 Takana Zion explains that Rasta Government differs from his previous albums due to many reasons. The most obvious are the location of the production and the use of veteran Jamaican musicians, such as Sly Dunbar, Robbie Lynn and Dalton Brownie. “Kingston is the capital of reggae, so if you know what you want in your music, you will surely get it. The musicians them know from what they hear in your way of singing which kind of spirit you are getting,” he explains. Takana Zion seems tired of the public image of Rastafari, and with the title Rasta Government he wants to show that Rasta is more than smoking weed and singing.